It’s Tuesday, so it’s time for another game day blog here at spalanz.com! 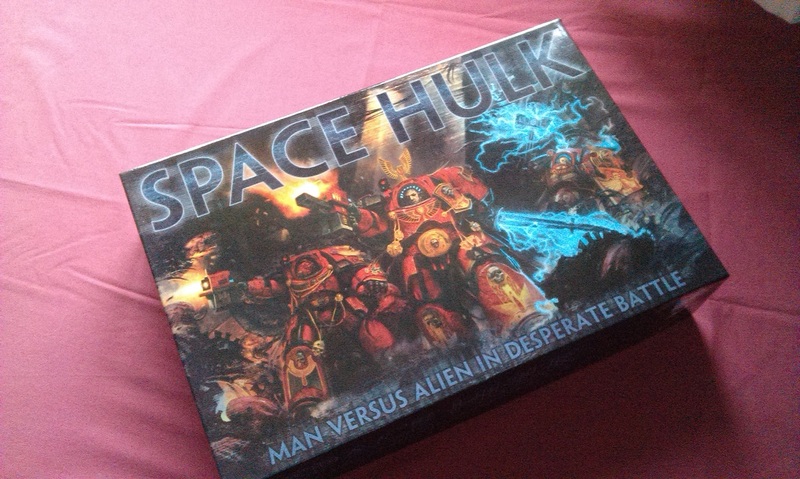 To celebrate the return of the classic boardgame Space Hulk to stores this weekend, I thought I’d get all topical-like, and look at the game that I picked up back in September 2014 – let’s go purge some xenos! Space Hulk is played in Missions, and there are sixteen missions included in the Mission Book. Each mission will tell you how many models you start with – how many marines, and what they’re equipped with, and how many ‘blips’ the Genestealer player starts with. There are a number of entry pointed marked on the set-up map, from where the blips can enter the board on the Genestealer player’s turn. I’ll talk more about this in the Reinforcement Phase, below. At the start of the turn, the Space Marines player randomly selects a command points counter, each numbered from 1-6, to indicate how many command points he has for that turn. Space Marines can take a number of set actions, however these points indicate the number of additional actions the marines can take. If the marines use more command actions than is printed on the token, they automatically lose! Once the command points counter has been placed, the Genestealer player starts the timer, which gives the marines a defined window of 2’43 to take actions for the entire team. Each Space Marine has 4 action points he can use to take a number of actions, from a menu of 11 total actions. Each of these actions takes up a number of action points, such as opening a door for one point, or firing a heavy flamer for two points. You need to completely finish the activation of each marine before moving on to the next – the only exception being if you then come back to that marine to spend a command point. 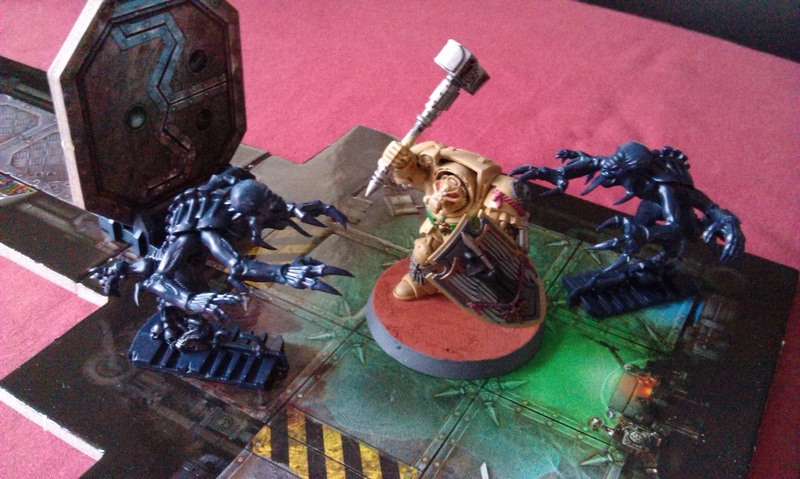 While firing their storm bolters at the genestealers itself costs a point, marines can also fire at the end of some movements for no additional cost. When moving, models move in the direction they are facing, and to turn 90° costs the marines an action point. These marines are clad in tactical dreadnought armour (terminators, to you and me!) and so are fairly bulky; the narrow confines of the space hulk therefore impede their movement, whereas the Genestealers are much more lithe and nimble. Genestealers have a total of 6 action points in their turn, and can spin about to change their facing at no extra cost once they have spent each of those points. Space Marine Terminators are equipped with a panoply of wargear that will help them to purge the xenos aboard the space hulk, most commonly the storm bolter, but also larger stuff like the heavy flamer or assault cannon, and combat stuff like power fists and lightning claws. Each of these weapons has various rules associated with it, as detailed in the rulebook. Storm bolters and assault cannons have no maximum range, you just need to see the model you’re trying to hit. The flamer is an area-effect weapon that can only hit up to twelve squares away. When rolling to hit, you roll two dice for storm bolters, three for assault cannons, and as many as there are models in the area for flamers, and if you roll a 6+, a 5+ or a 2+ for each respective weapon, you hit the model and it is destroyed. Normally, you can only do stuff on your own turn, but the marines can take an Overwatch action which effectively readies them to fire at genestealers on their turn, instead. Only assault cannons and storm bolters can do this. Overwatch shooting takes place at the end of each genestealer’s action within 12 squares and line of sight of the marine on Overwatch. It can be a useful tactic to put a marine on Overwatch, to force the Genestealer player to re-think their strategy if they don’t want to lose that model. Unfortunately, Overwatch does come with a price for the marines and, if he rolls doubles on the shooting roll, the weapon jams and he will need to spend an action point on his own turn to clear that jam. So he might be valiantly placed to cause the genestealers to pause in their advance but, on the first roll his weapon jams, and they’ll be all over him like a rash! 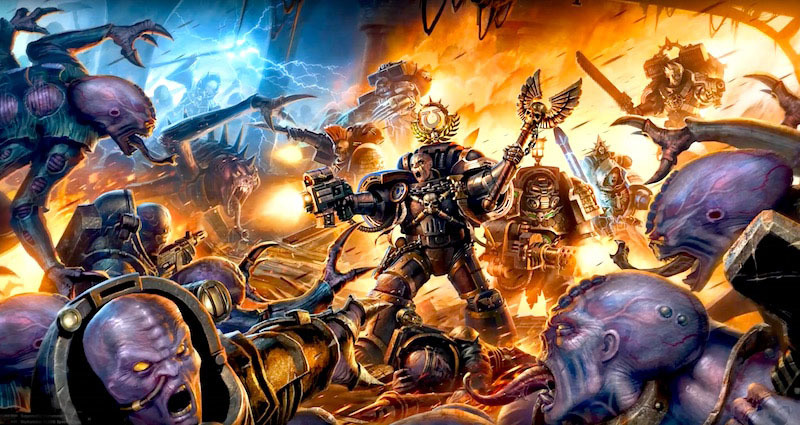 As well as shooting storm bolters and stuff, marines come equipped with power swords and chainfists to use in melee fights with the genestealers. 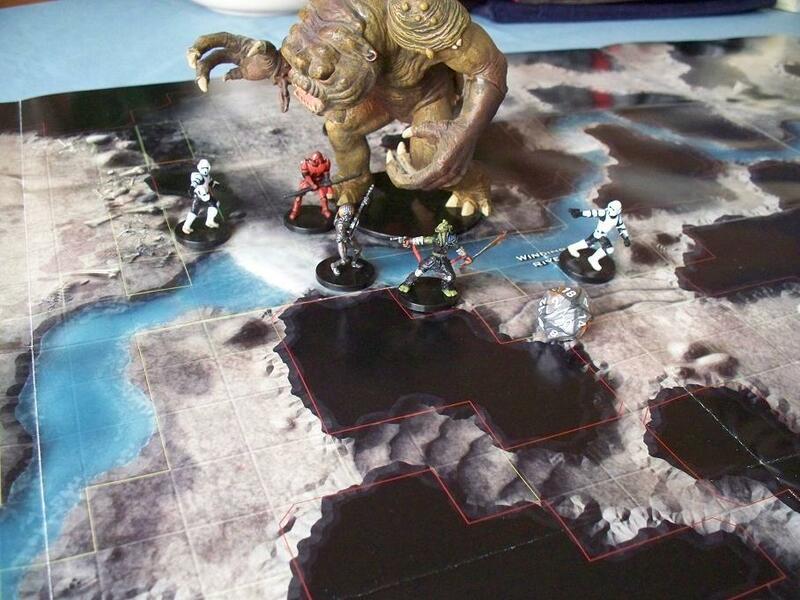 However, close assault is really where the xenos menace excels, so you probably don’t want to end up there! 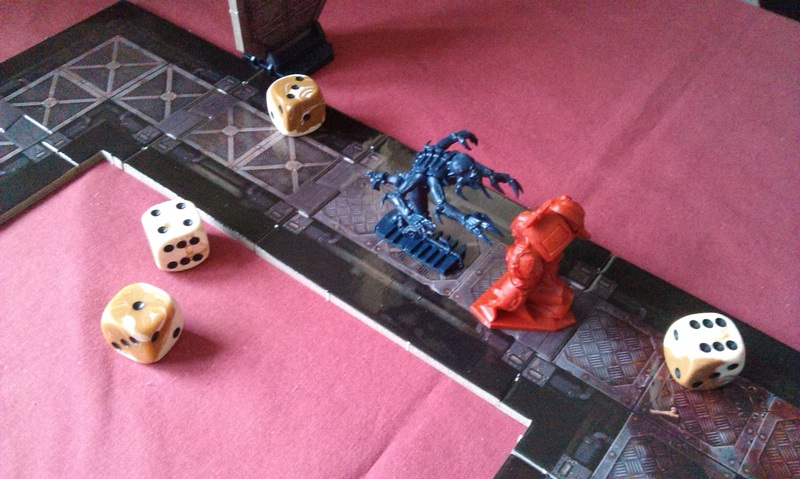 In close assault, genestealers get to roll three dice, while marines only roll one; whoever rolls the highest result on a single die wins the assault, and the other models is removed as a casualty. Space Marine Sergeants get to add +1 to their roll, which gives them a bit of an edge, while a marine with lightning claws rolls two dice in close assault. Additionally, marines can spend two action points to go on Guard, meaning they’re ready for the assault and can re-roll their die in combat. So they’re not entirely squishy! After the Action Phase comes the Genestealer’s turn, starting with placing a number of ‘starting blips’ at the entry points on the space hulk as mentioned earlier. These blips are numbered from 1-3, and show how many models they will turn into – however, in keeping with the suspense of the game, the marines won’t know how many genestealers are out there until they’re converted into actual models. Before conversion, blips can move around the map like regular models, spending up to six action points per blip as described. If the blip hasn’t activated, the player can choose to convert it into a number of models shown on the token, placing one on the square the blip had been occupying and the remainder adjacent to it. If the space marines can ever draw a line of sight to the blip, then it is “involuntarily converted”, and the Space Marines player gets to place the genestealer models. 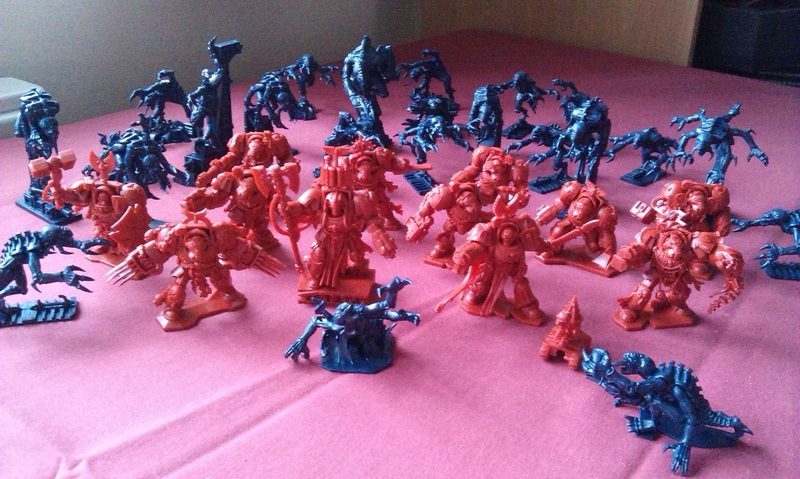 It’s worth noting that the number of genestealer models is limited to the number of them included in the game, though there are 22 models plus the Broodlord, so you probably won’t be needing a lot more than that! At the end of all of this, each player checks for his victory condition, before then removing all Overwatch/Guard counters from the game (and revealing that Command Points token to show the marines didn’t overspend!) and a new round begins. The mission I’ve been using to demonstrate throughout this game day blog is Beachhead, which runs to 12 turns and allows the marines to win if they still have at least seven men standing, and have eradicated the genestealer threat. 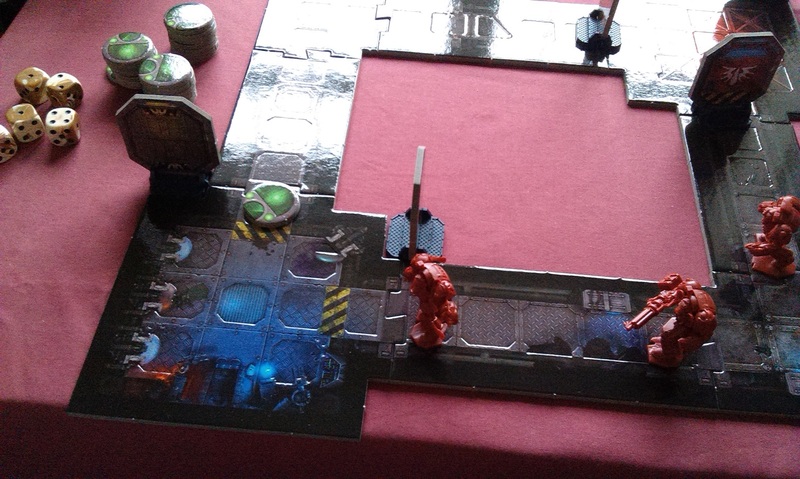 The Genestealer player wins if there are less than five space marines alive, however, so the game could potentially last fewer turns if the genestealers have been super aggressive! There are, of course, multiple other rules for things like objects that are specific to the mission, and there are two ‘special’ characters in the game, the Librarian and the Broodlord, who have abilities that can impact on the game in different ways. The Librarian is a psyker, and has three Psychic Powers he can use. Each costs a Psi point, and he starts out with 20 such points. There is a whole section of the Mission Status Display board devoted to tracking his use of these points. His psychic powers can be used to move the command point tracker back one, gaining additional command actions on a turn, as well as blocking access to squares with a powerful Force Barrier. Finally, his Psychic Storm power can empty a board section of genestealers or blips on a 4+ (or destroy individual targets on a 2+). However, the Broodlord is a powerful genestealer, and has the ability to increase his close assault rolls and requires two hits to kill in shooting attacks – and is immune to Psychic Storm! 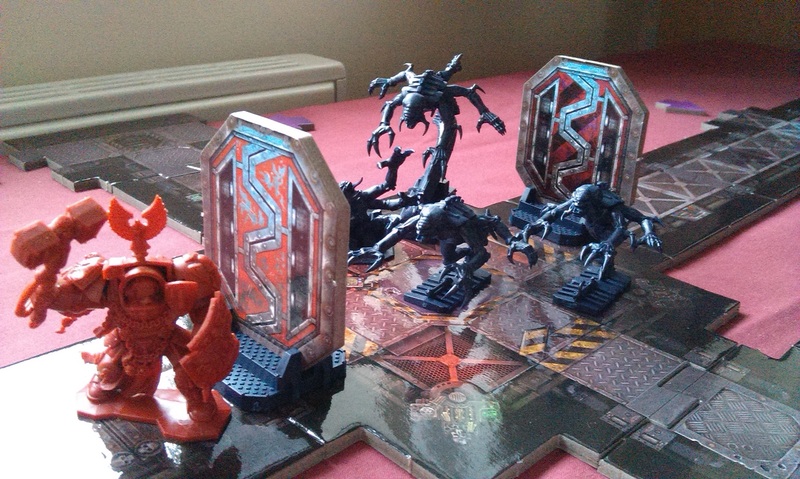 Space Hulk is, of course, a classic of board games, and beloved by many since its initial release back in 1989. It’s currently in its 4th edition, which Games Workshop is trotting out for the second time now (though I picked it up the first time around in 2014). While I am struggling a little to make it out, I do believe this is an actual “return”, and not another limited-release thing where they have it on the shelves for a couple of weeks, then you’re having to sell organs to get a copy on ebay as the only viable alternative. 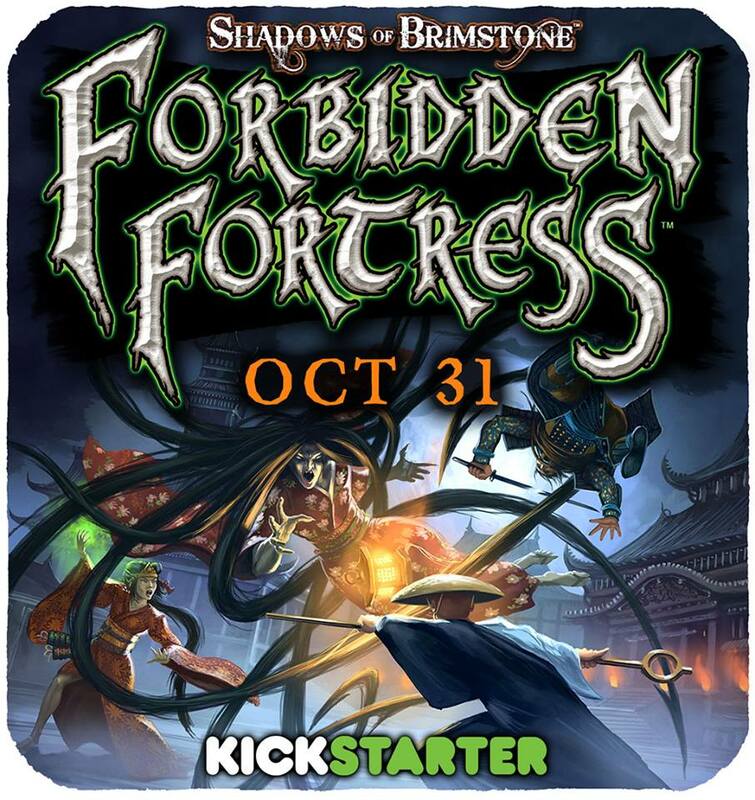 So this – if it is indeed true – is yet another positive move on GW’s part in really becoming a workshop of games, and bringing back an absolute classic from the genre! 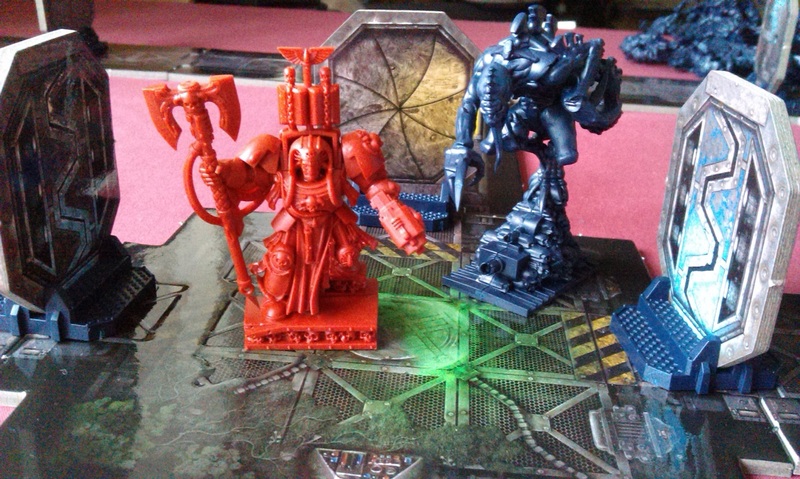 Author spalanzPosted on December 6, 2016 December 3, 2016 Categories board gamesTags Blood Angels, game day, Games Workshop, Genestealers, miniatures games, Space Hulk, Space Marines1 Comment on Space Hulk! While not exactly planned, it’s the second of a two-part game day! 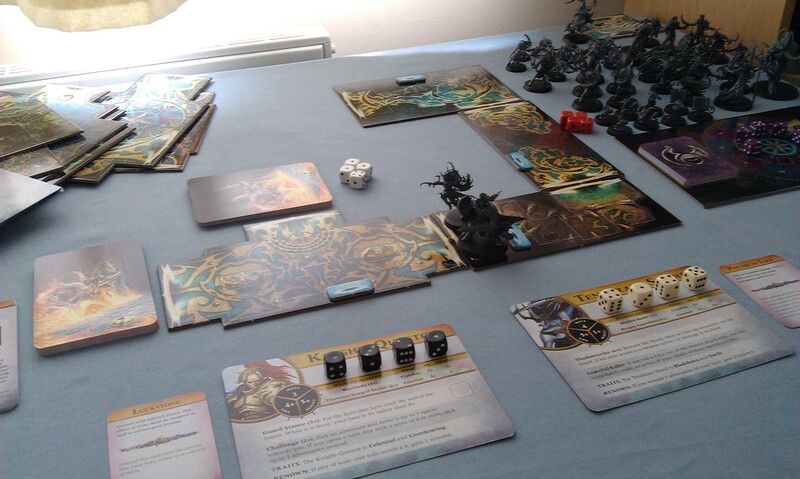 Following last week’s first impressions of the new Warhammer Quest: Silver Tower boxed game from Games Workshop, over the weekend I got to play my first game with it, having spent last week building all of the miniatures. So I thought I’d come back here to talk more about the gameplay and kinda build upon last week’s blog. 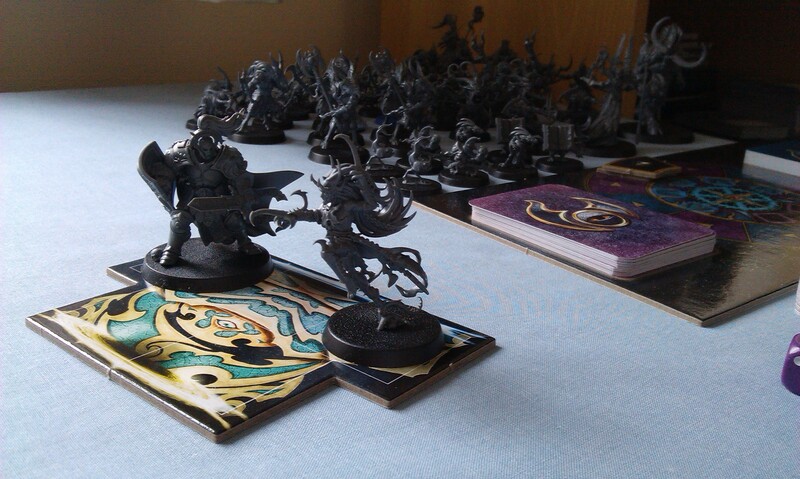 First of all, as you no doubt know if you’ve read this blog for any great length of time, I’m a very big Warhammer fan. Warhammer fantasy is what got me interested in this universe, and I’m very much enjoying Age of Sigmar right now. So that kinda colours the perspectives here. I also enjoy a good dungeon crawl, so the stars have really aligned on this one! The game plays pretty straightforward. 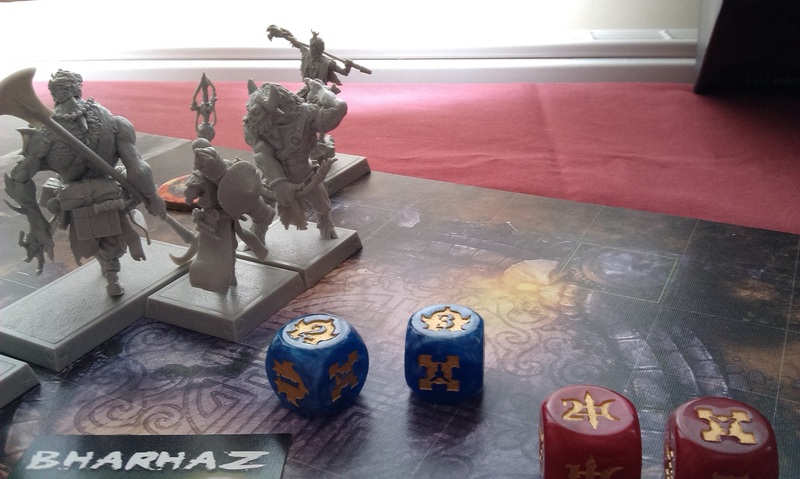 I described the various phases last time, where you roll five ‘destiny dice’, discard any duplicates, then roll your hero dice and determine how you play your actions on your turn. In addition to the basic actions, each hero has a few abilities that make them feel somewhat unique, though a lot of this does feel like something of a dice-fest. Combat was interesting to me. I say this because, whether it was purely down to my good fortune in the game or not, but I seemed to have a pretty easy time of things. The Knight-Questor has the capacity to deal a lot of damage in melee, and can pull as many as three enemies towards him to facilitate this (and make up for his otherwise ponderous gait). 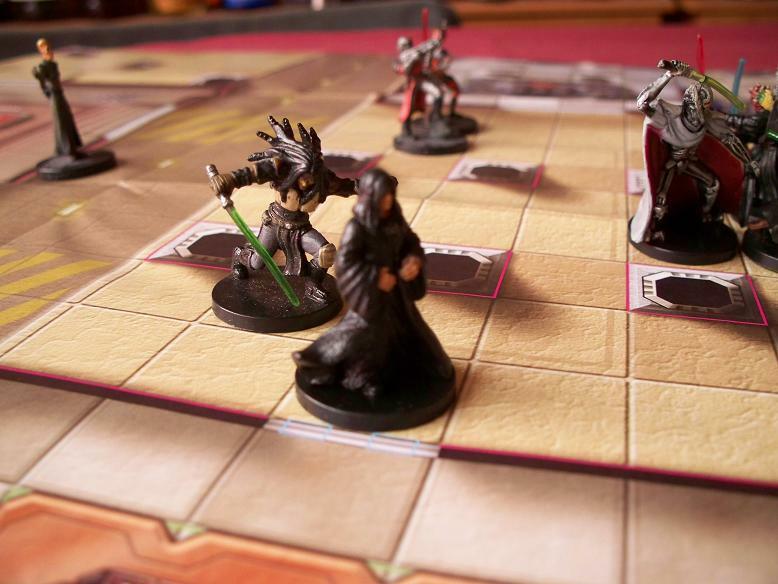 The Tenebrael Shard (that’s Dark Elf to you and me) has the ability to move anywhere on the board and then double combat damage dealt in the round, and one of his weapons does d3 damage. That was all pretty powerful, and often resulted in no adversary phase because none were left! The renown track that goes up when certain conditions are met, such as your hero slaughtering enemies, was a nice way to pace the discovery of skills that can do things like increase speed and whatnot, though at times it felt like it was going up extremely slowly, as I kept drawing chamber tiles with no enemies placed on them! I was initially sceptical about the number of miniatures in the game at first – 45 enemies for a game as big as this seemed a little low, but then there is more to this than just killing stuff. And this is what I liked about the game. There are all manner of different types of tests the adventure book puts you through, one of my favourites being trying to accomplish a number of dice-based tasks within a time limit. That was actually a lot more fun than I’m making it sound! I must admit to being a little confused by how exactly you’re supposed to go through the whole trials thing – I made the mistake of just setting it up and beginning immediately, without thinking about any kind of campaign play. 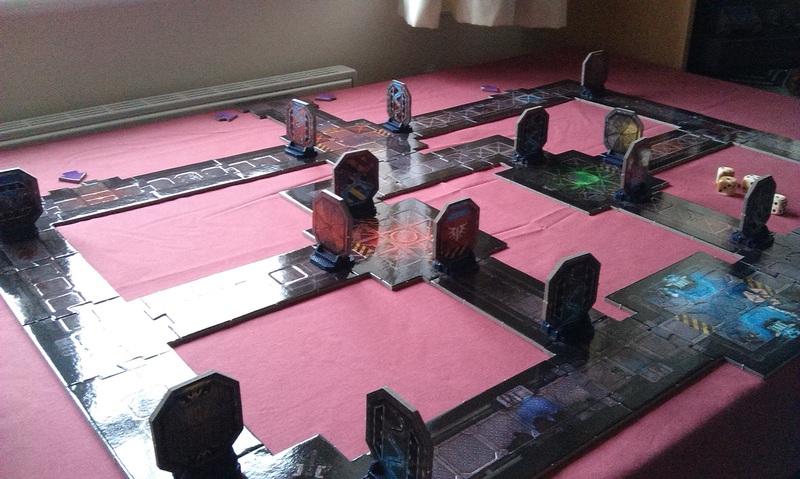 Don’t get me wrong, it was still a blast, and I really managed to get to grips with the rules and stuff in the game I had, but without going to the adventure book first, I think I ran the risk of actually just having an endless game of exploring the same tiles and killing the same enemies forever. Though I guess you could argue that’s the entire point of the maddening Silver Tower of Tzeentch! This will only appeal to a very specific type of gamer: a Warhammer fan. I can’t really think of any other reason why you would buy this. 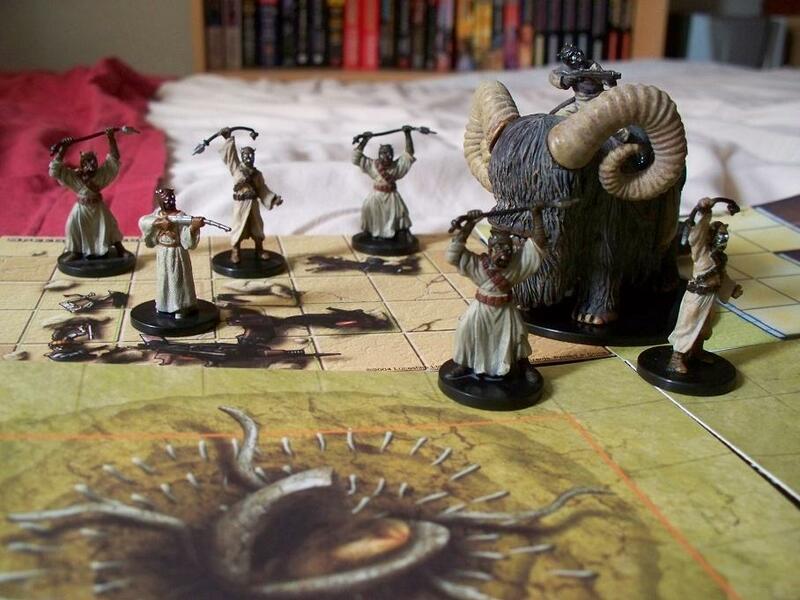 Dungeon crawl games in a fantasy universe of this calibre aren’t exactly ten-a-penny, but there is a whole lot of choice out there for board gamers these days. Descent and D&D Adventure System games are two that instantly leap to mind when I think of this genre and, while Descent uses a DM in the main game, there are official co-op variants available. The games are all very similar in feel and, to an extent, in style, but buying the base game for Descent will set you back £65 MSRP, while the D&D games come at £45 each. Paying £95 MSRP for Warhammer Quest: Silver Tower is only going to happen if you’re already invested in the world, if you’re interested in getting the miniatures to paint (and probably use in other games, notably Age of Sigmar), and likely not because you’re interested in a fantasy dungeon-crawl tabletop game. I bought this game because I love the Warhammer setting, and have been thinking about using some of the miniatures in Age of Sigmar. 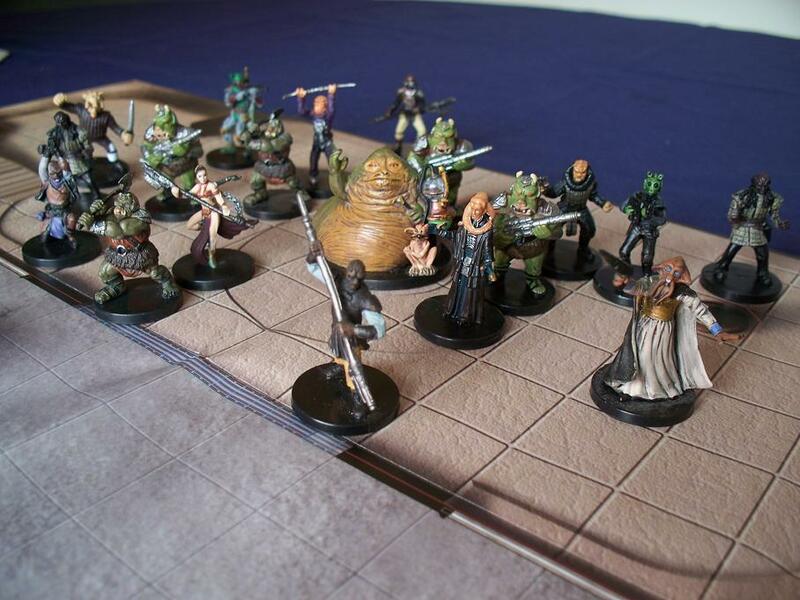 The fact that it’s a co-op dungeon crawl is just icing on the cake, really. 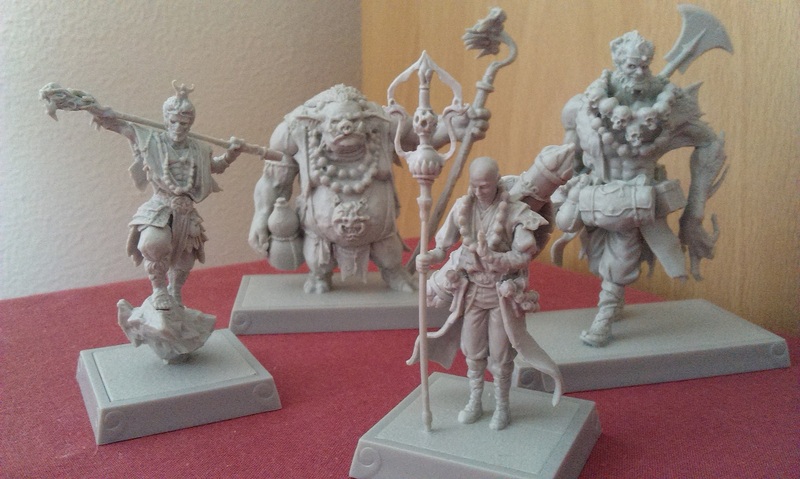 If you’re looking for a fantasy game with great miniatures that you just want to sit down with friends and play, then unless you’ve got money to throw around (and time to build the miniatures), I would honestly suggest you check some of the other games out. 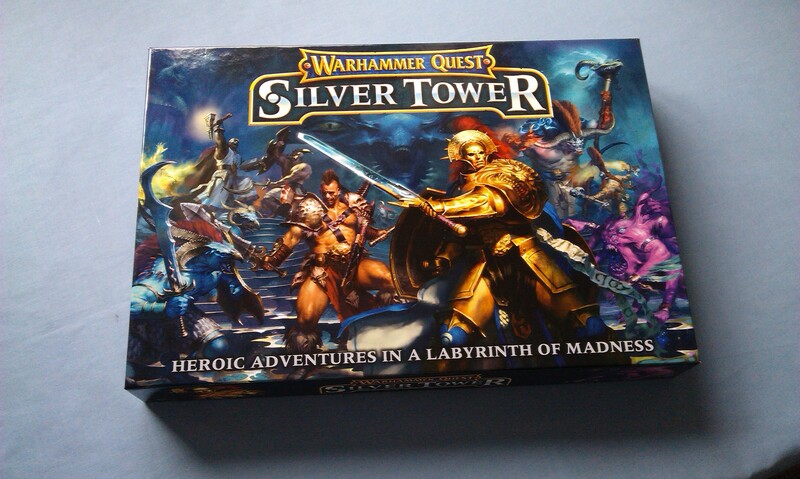 But if you love Warhammer and are looking for something lighter than the full-on tabletop war game, then Warhammer Quest: Silver Tower might be exactly what you’re looking for! In a move that will surprise absolutely nobody, I picked up a copy of the new boardgame from Games Workshop at the weekend, Deathwatch: Overkill. 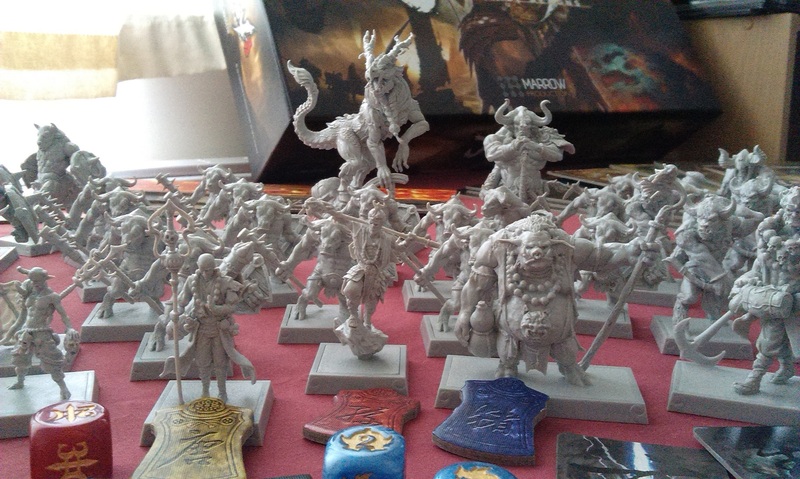 I was actually concerned about dropping so much money on another box of plastic, but my local games shop was selling it for £20 less than GW, so I decided to take advantage and go from there! Oh yeah, and I made a video of the unboxing, just because why not! I bought it on Sunday afternoon, and was at work all day yesterday, but all of that notwithstanding, it should also surprise nobody that I haven’t actually built any of the models yet, so haven’t played the game yet! 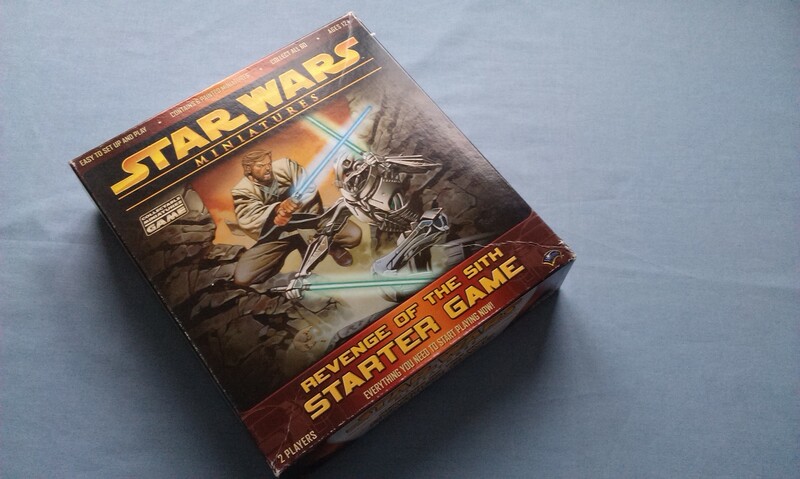 This blog is therefore going to be a little piece that will look at my very first thoughts upon opening the contents and flicking through the rules a bit. First off, let’s talk minis. You know you’re here primarily for the little plastic men, after all! My first impressions are, they’re beautiful. On the sprue, it’s obviously difficult to work out what they’ll look like, but the individual pieces are so intricate and beautiful to see, you just know they’re going to create stunning (and, in the case of the Space Marines, centrepiece) models. The way each model goes together does look a bit weird. The Marines in particular seem to share the assembly with the Stormcast Eternals from the Age of Sigmar starter set, in that they go together in a surprising way, and unfortunately, they do seem to be very much one-pose models. Glancing through the assembly instructions, there doesn’t seem to be anything particularly weird, such as that Liberator-prime or anything, but they do look moulded to specifically prevent any kind of articulation. The Genestealers are very similar, with arms that connect to pegs that force a certain look to the models, which obviously suggests a bit of a mass-market appeal, making it as straightforward as possible to put together. Experienced modelers who are used to putting together Space Marines in 10+ pieces will no doubt throw this lot together in a breeze (even the White Scar on his bike, with the bird floating above, is only in ten pieces). Indeed, in looking through the book to write this up, I’ve been tempted to start clipping a couple out – don’t be surprised if next week’s Hobby Progress blog features one of these guys, then! But overall, the miniatures are truly excellent. I am a big Deathwatch fan, and I hope that this game does indeed become a precursor for at least a couple of plastic kits from Games Workshop in the future, more along the lines of the Space Marine Tactical Squad, or whatever. Time will tell! What else is in the box, then? It’s a boardgame, so it won’t be a shock to learn there are board pieces included – eight of them, in fact, and double-sided, too. 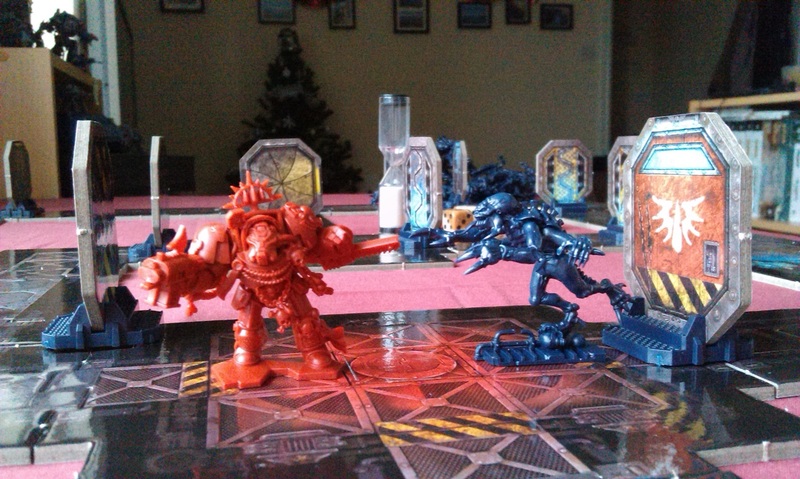 They have that 3D effect going on, much like Space Hulk has, in fact. There aren’t any tokens like in previous games, it’s just eight boards, and that’s that. 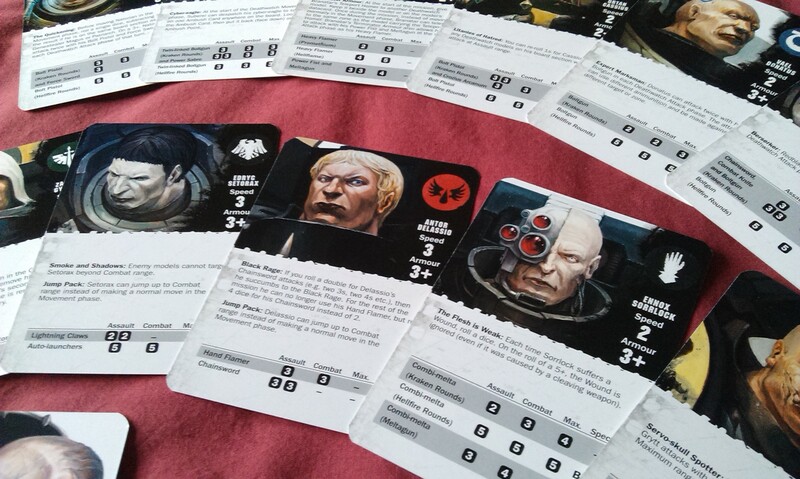 Two decks of cards provide all of the details for the Deathwatch and the three main Genestealers (Patriarch, Magos and Primus), and a separate deck of Broodmind cards that are used by the Genestealer player to do Genestealer things. You also get the book with all of the rules, a nice bit of fluff, an ‘Eavy Metal spread effectively telling you how you could paint them all, and nine missions to play through. 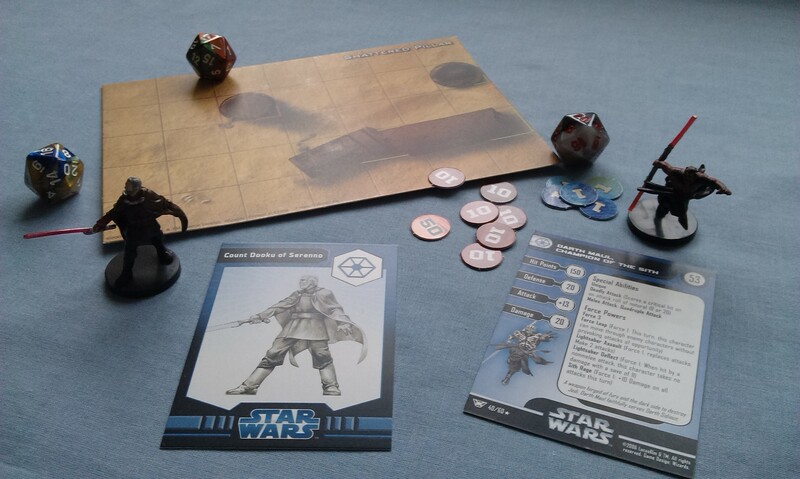 You also get some dice and a range ruler thing. Each model has a move characteristic, which lets them move that number of zones on the board. The boards are divided up with black lines on the terrain, and models can be placed in each if there is room. There are rules for running, jumping and moving through enemy territory, and the rulebook is really pretty clear how this all works, which is commendable! Attacking is also fairly straightforward. 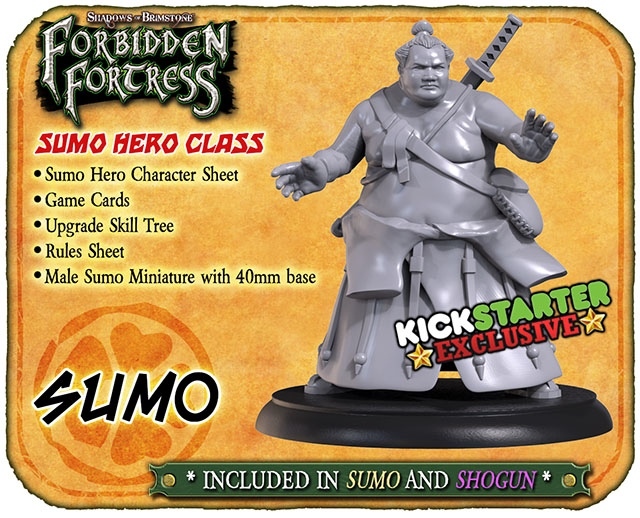 Each model has a weapon profile(s) that show the number of dice to roll, and the number required to equal or exceed in order to score a hit, at each of three ranges: assault, combat and maximum. 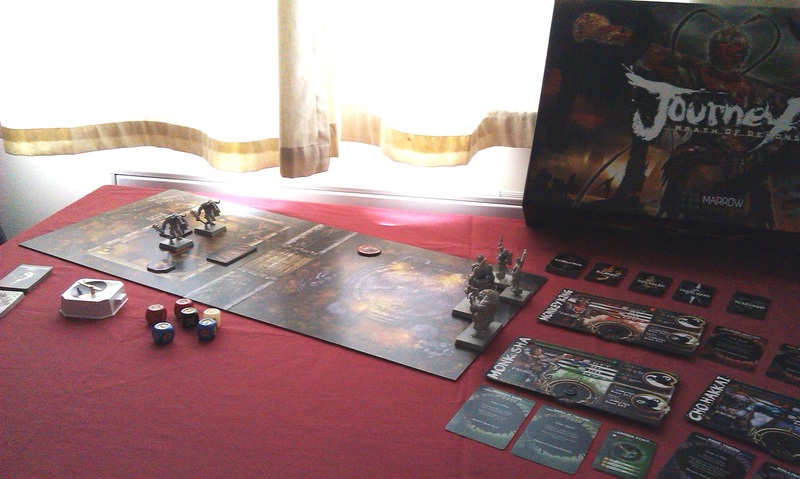 Models with armour get to roll a d6 and see if they make the save before determining wounds – for each member of the Deathwatch, and the three Genestealers with cards, those cards are flipped over when they have received a wound, which lowers some of their skill level for the remainder of the game. The regular Genestealer Cult members are just removed from the board after a single wound, to return again in later ambushes! The Deathwatch Marines are allowed to forego an attack in order to heal, flipping their card back to the unwounded side, adding an extra level of strategy I suppose. There are also rules for blast, rend and cleave attacks, which look nice and straightforward to use. The missions are a nice mix of prescribed route of play, specifying the number of Deathwatch Marines in play and the objectives, with board maps and details of where the Genestealer player can ambush. 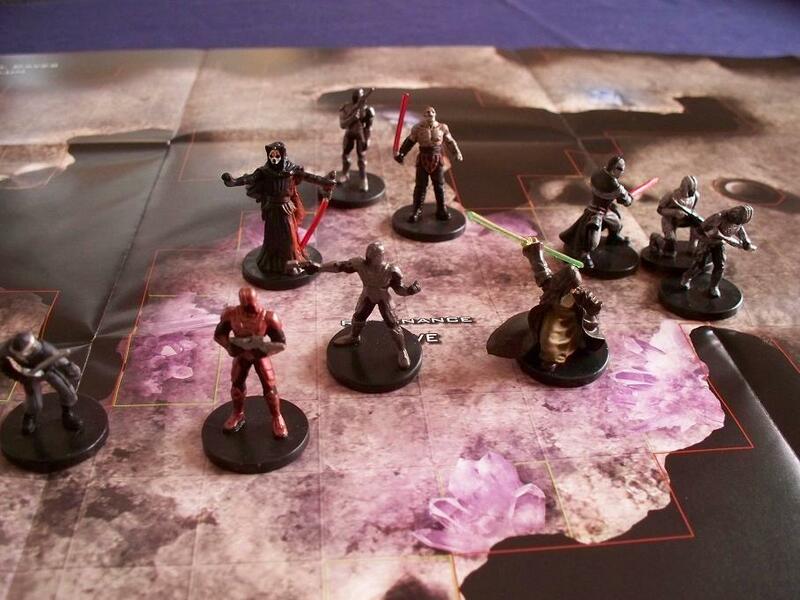 There are also rules that detail bonuses if you play through them all in a campaign. The types of mission vary, with one being a sort of all-out assault, one a recover-the-artifact, etc. They look a nice bunch, anyway, but as always with such things, I’m concerned that they may lead to a short shelf-life. I was surprised, in fact, that White Dwarf didn’t have any kind of bonus/exclusive mission over the last couple of weeks, though they’ve been more concerned with putting out the rules to field these models in Warhammer 40k games, so I suppose that’s understandable. Plus, I might be worrying over nothing, as while there are only 9 missions included here, most only allow for 4 Deathwatch Marines, but there are 11 of them in the box, so the permutations for play are significantly more than it first seems. Overall, the game looks great. 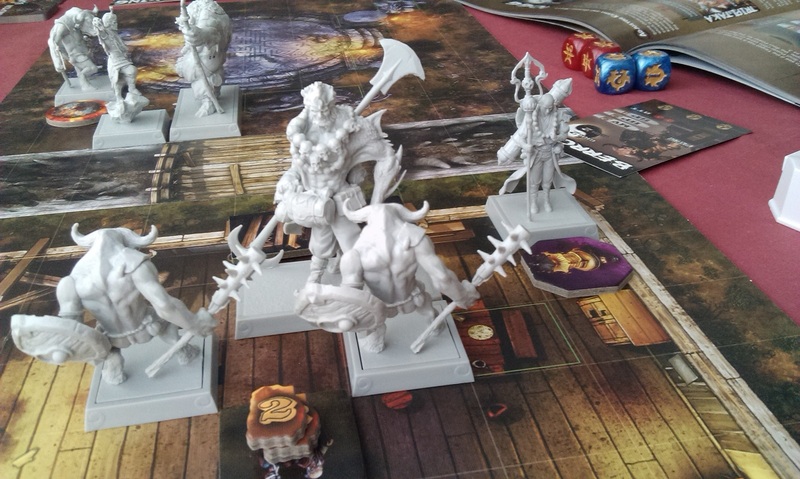 I realise this blog was meant to be a first impressions, and I had anticipated not having a great deal to say about it, but I’ve gotten so enthused for the game, I have waffled quite a bit! I’m biased because I’m already such a huge fan of the Deathwatch, of course, but I’d say this is the first board game from GW that I have actually wanted to put together and play right away, without worrying about painting first, or any of that stuff. The rules seem to be simple enough to allow for very easy entry, but the game overall is immersive enough that it makes you think a little more about what you need to do to win. I hope Games Workshop will put out some multi-part Deathwatch models that will allow for more customisation of your deployment, and perhaps provide some pdf cards with generic troopers to use (though I don’t think it would be too difficult to whittle up some anyway). All the way through the rumours of this game coming out, I wasn’t the biggest fan of the Genestealer Cult idea, perhaps from hearing the stories of the original 90s incarnation, but I have to say, I am intrigued now that I’ve had a chance to see the sprues and digest the look etc. So I wouldn’t be averse to seeing them bring out a kit or two with more of those guys, also! Of course, there are rumours of codices coming out to support both factions, though part of me thinks that may well be wishful thinking. I guess time will tell! As I’ve said, though, it looks like a fantastic game, one that I don’t have the least bit of remorse over buying. 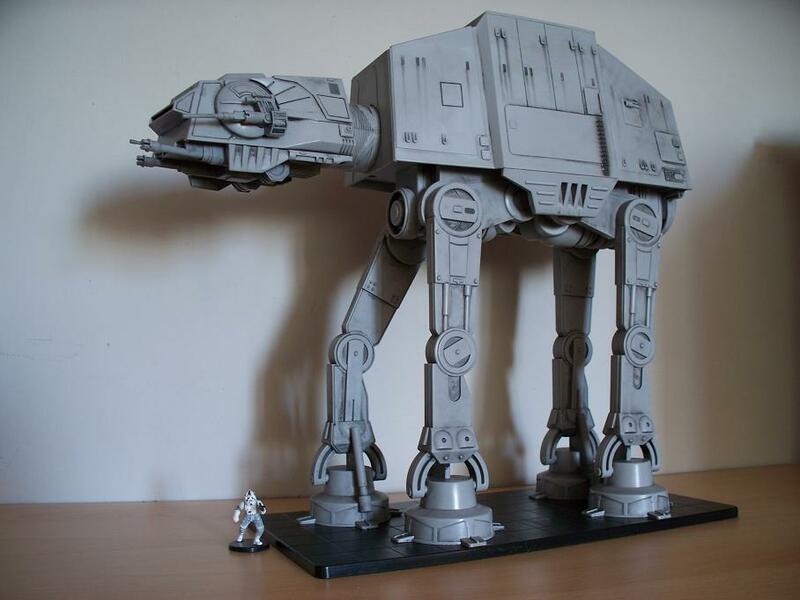 Maybe some of these models will be assembled and painted sooner rather than later…?